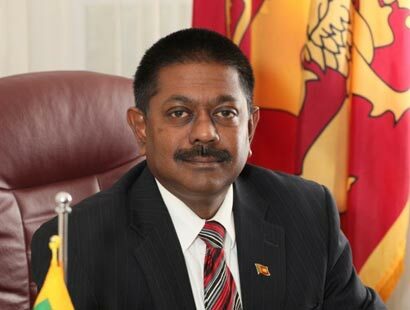 Former Sri Lankan Ambassador to the USA, Jaliya Wickramasuriya was arrested by the Financial Crimes Investigations Division (FCID) last night over a financial fraud, Police said. He was alleged to have defrauded more than US$ 33,000 in purchasing a building for the Sri Lankan Embassy in USA. He was arrested at the Bandaranaike International Airport (BIA) on his return from USA. Another one. Are all these so called Sri Lanken executes are rogues. May be that is why they ought to be ‘executed’. Can’t you see? It is written on this guy’s face. Whoever appointed him ( the former FM, the brilliant professor, leader of the SLPP) must be having mud upstairs.